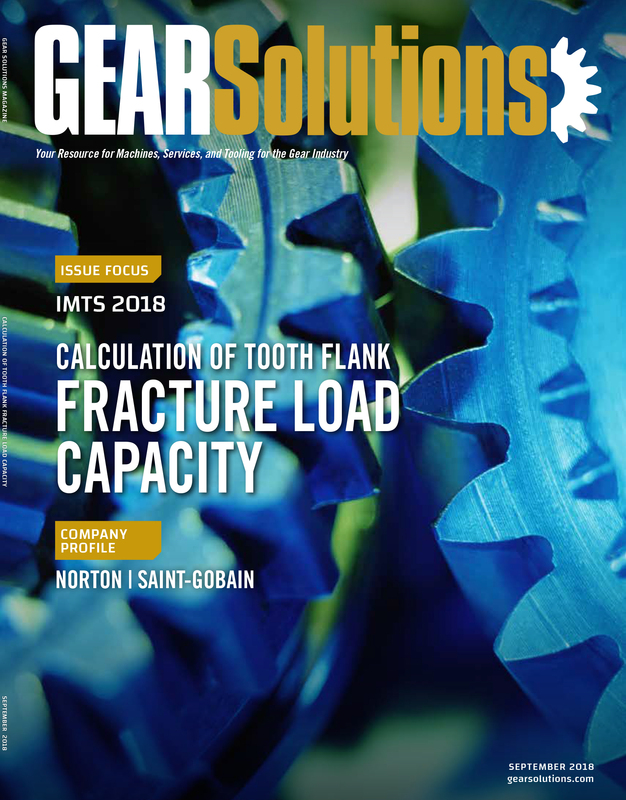 Increasing demand for double helical gears in planetary reduction gear boxes for engines in civil aviation has necessitated a number of new capabilities and technologies. 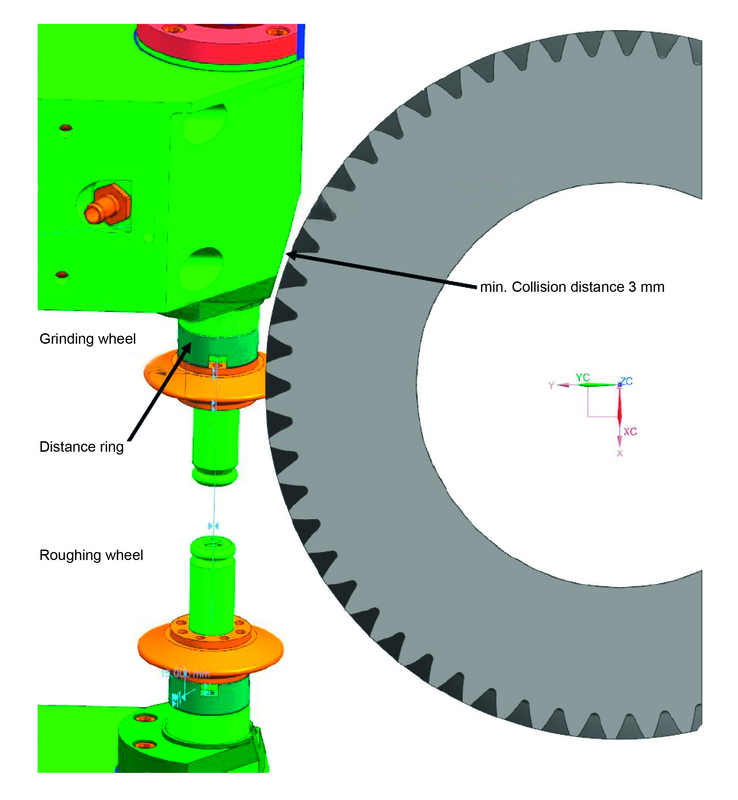 Double helical gears (herringbone gears) are characterized by a symmetric arrangement of two identical gear teeth with exactly opposite helix angles. As a result of this symmetry, the axial forces in the gearbox negate each another. 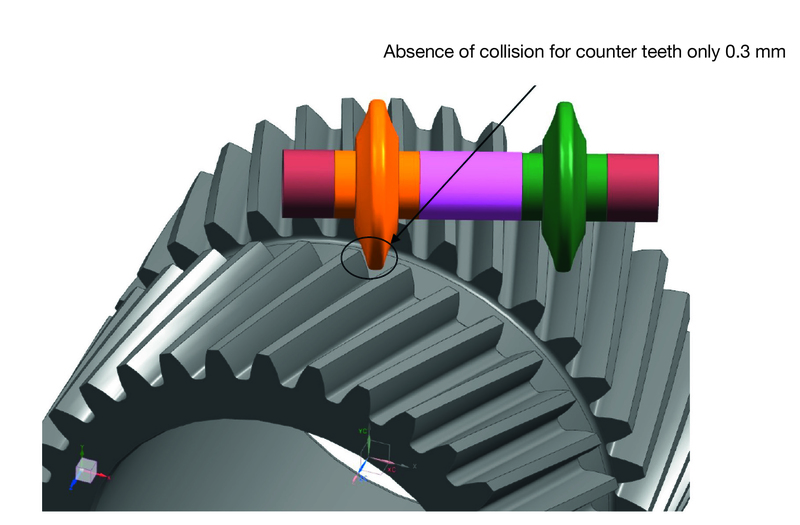 For many years, such double helical gears, as an example for components with geometrical interference, have been a special challenge in finishing gears. While in the past military low lot size applications might have been the main focus, there is now a current boost in demand for double helical gears in planetary reduction gear boxes for engines in civil aviation. Increasing requirements for weight reduction and fuel saving lead to decreasing sizes of design forms. 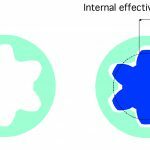 Assuming that the gap between both gears could be reduced by just 10 mm (0.39 in.) the total width, and, consequently, the weight of the workpiece would decrease by approximately 7.7 percent, a massive reduction in the aerospace industry directly linked to fuel saving of the aircraft. In fact, Kapp Niles has proven by ideal combination of machine, grinding spindle, and tool that customers could achieve or even surpass such a design goal. At IMTS 2018, the Kapp Niles Group will display advanced turnkey solutions for grinding and measuring of aerospace double helical gears. Hard gear finishing of the tooth flanks can only be done by profile grinding. 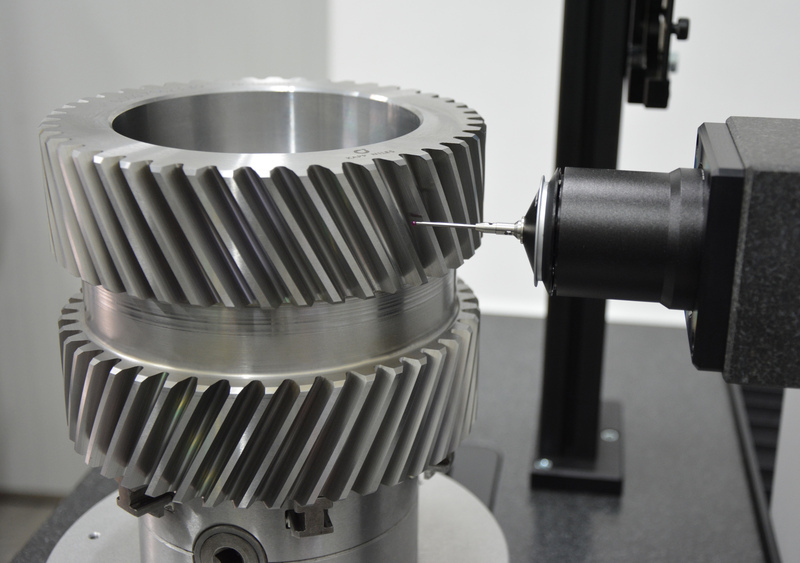 Inherent to the process, the gap is necessary between the gear teeth for the tool run out. Traditional tool concepts are dressable or non-dressable CBN profile grinding wheels mounted with screws to one or two grinding spindles. Tool diameters are often restricted to approximately 80-100 mm (3.15-3.94 in.) by the spindle size, interference of the grinding spindle, and, in case of dressable tools of course, by the additional diameter range required for dressing. 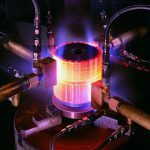 But such traditional grinding solutions no longer meet the increasing demands regarding gap (= weight) reduction, quality, surface finish, but also day-to-day production demands for optimum economics in the competitive global civil aerospace market. 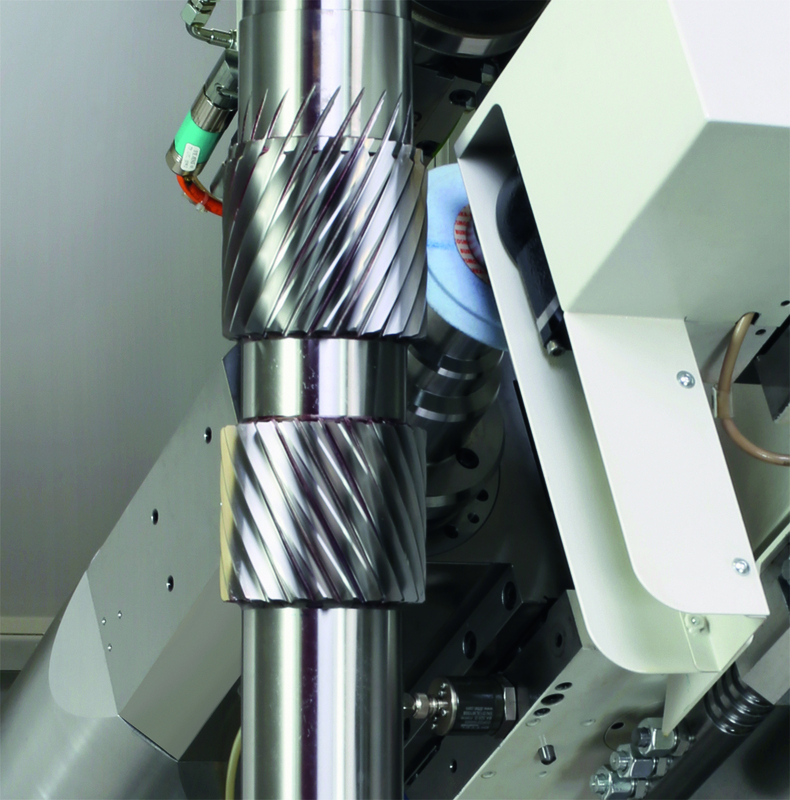 When grinding double helical gears, Kapp Niles CBN tools offer the decisive advantage that they can be designed with the optimum diameter for the gap width available while guaranteeing consistent quality across their entire tool life. 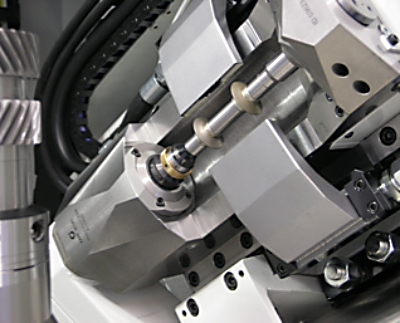 Grinding them is only possible with an ideal interaction between machine and tool. 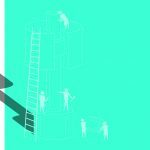 As in every sector, it is important to keep the balance between costs and productivity without compromising the precision. 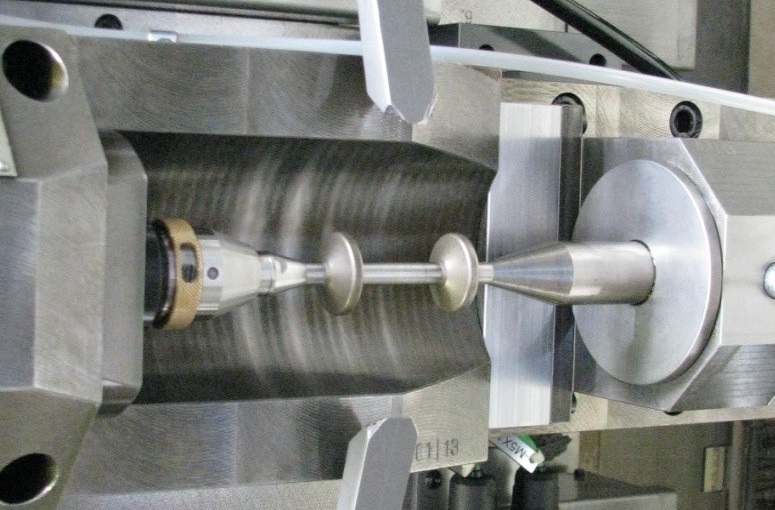 Tool diameter: Of course, this parameter is the most obvious and directly related to Kapp Niles’ advanced grinding spindle (see below) and CBN tool manufacturing. Tool swivel angle: Often underestimated but a very effective means to shorten the contact line between tool and workpiece but as a negative side-effect sometimes losing the balance of grinding forces between both flanks requiring increased stiffness on the grinding spindle. Position of the DHC point: Sometimes an off-center position can provide additional clearance for the wheel in unexpected possibility of gap reduction. Other features such as chamfer, edge rounding, etc. Also, such features can provide unexpected possibilities for improvement. 1. 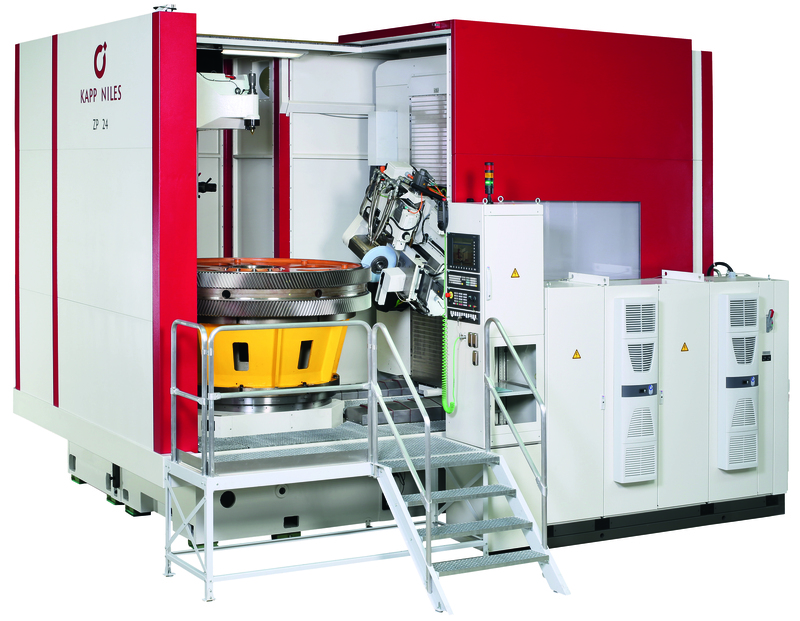 The initial customer design started also with a 30 mm gap, and a conventional wheel size and grinding spindle size available on their existing Kapp Niles machine (year of manufacture is 1993 and still used 24/7 for aerospace production). 2. First stage of reduction was minimizing of tool diameter to 60 mm (2.36 in.) by the special spindle with counter-bearing but with CBN wheels and spindle arbor separately. Case study step 3: Gap 18 mm. 3. Second stage was to rotate both gears against each other (= moving the DHC point off center) so that the wheel can use the opposite gap as additional clearance. In this stage, a gap of 18 mm (0.7 in.) was achieved with grinding wheel diameter 50 mm (1.97 in.). Case study step 4: Gap 15 mm. Integrated design of CBN wheel and wheel arbor even with dual CBN grit size for roughing and finishing. CBN wheel diameter 30 mm (1.18 i.). Recommendation of small chamfer to provide final clearance. 5. Final design of the customer went back to a little larger gap size enabling again a separation of the CBN wheels from the arbor for optimum tool cost but also because apparently the whole gearbox design including bearings, etc. could not be reduced accordingly. 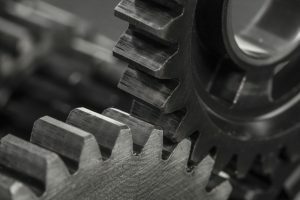 During all optimization stages, prototypes were ground at Kapp Niles to the full satisfaction of the end customer stating that he has never seen such an advanced process on any gear grinding machine on the market. The purchase of a new gear grinder and CBN tools was just the logical final step for the customer to be prepared for the future production of this advanced aircraft engine. But even the final choice of the best suited gear grinding machine was a thorough process since Kapp Niles provides the widest range of machine concepts for grinding double helical gears in various sizes. Be it with horizontal (VX series) or with vertical workpiece axis (ZE and ZP series), all machines can be equipped with innovative solutions regarding hardware and software for grinding double helical gears. But what is the best grinding machine without optimized tooling and software? In most cases, a two-stage process with CBN rough machining and finishing tool is necessary for achieving the maximum material removal rates and surface quality. 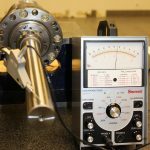 For this purpose, an enhanced grinding spindle with counter-bearing has been developed, which enables unique precision and productivity even with the least wheel diameters. An in-built HSK interface reduces the tool set-up times to a minimum. 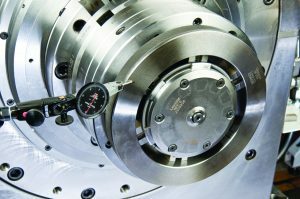 The spindle contour has been specially designed to avoid interferences at high helix angles, spindle RPM is adopted for small tool diameters and most important the counter-bearing increases the stiffness significantly for highest grinding precision even at quite coarse pitch workpieces and uneven grinding forces. Grinding spindle with single-piece CBN tool/tool arbor. 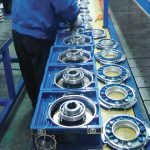 Last, but not least, one of the most demanding tasks is the process chain of stock-oriented alignment, grinding, measuring, and the documentation of the material removal by optimizing the position of the DHC point. 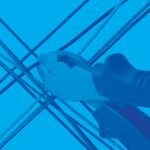 With the integrated measurement probe and the associated software packages, these tasks can be performed in a particularly user-friendly manner on our machines. 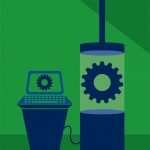 But even if the highest-precision integrated gear measuring system in the machine shows an amazing correlation to external CMMs, there is no way to replace an external final inspection. For this purpose, Kapp Niles Metrology — one of the newest additions to our group — has also developed special solutions for the aerospace industry. Universal high-precision measuring machines in bridge type design with vertically arranged probe heads for complex workpieces are successfully in use in the aerospace industry. The newly developed gear measuring machine KNM 2X with horizontal measuring head orientation for ultimate highly precise measurements of smaller size gears up to 300 mm workpiece diameter is perfectly suited for the measurement of double helical gears. 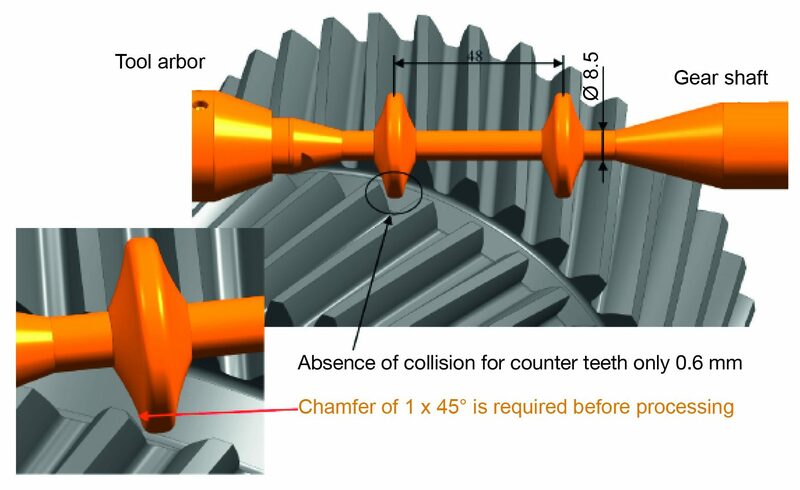 In addition to the standard profile, lead, pitch, and runout inspection according to DIN 3960/62 or AGMA 2000 (or other standards), the exact measurement and determination of the APEX point of herringbone gears, with a comprehensive evaluation software package, ensures a final quality certification. Holger Staub is manager, product management aerospace, with Kapp Niles, a leading manufacturer of grinding and measuring machines for cylindrical gears and similar components. Visit them at IMTS 2018 booth in hall N, booth #237024. 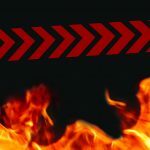 Learn more at www.kapp-niles.com.